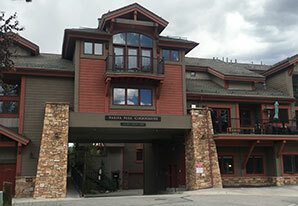 An attractive four building complex located in Frisco Colorado consisting of 20 Residential Units and two Commercial Units. Two of the units are deed restricted. Each unit is equipped with garage or open carport. There is one elevator on premise. Exterior common area consists of asphalt drive with exterior parking, heated concrete drive, concrete walks and attractive landscaping to include both natural and manicured areas. There is one interior common area rec room and one outdoor pool with common bathroom. The Board of Directors will meet on Tuesday, Jul 2, 2019 at 3:00 pm in the office of Summit Resort Group. The 2019 Annual meeting will be held on December 23, 2018 at 3:00 pm at the office of Summit Resort Group, 350 Lake Dillon Drive in Dillon.